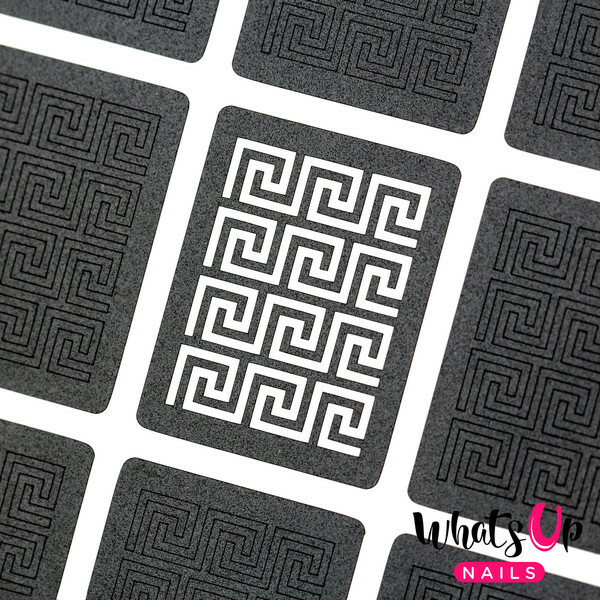 Create a design on your nails with these Greek tape nail vinyls that even the Greek Gods will be impressed. Greek tape strip size: 3/16in x 11/16in (5mm x 17mm). Medium sheet contains 16 sections with 4 greek tape strips each, or 64 strips. Large sheet contains 24 sections with 4 greek tape strips strips each, or 96 strips.